2. A distance should be conveyed in minutes, not miles. I suggest using a major city for reference, like Dayton! 3. Weather is never forever… You can even experience snow, sunshine and rain in one day! Woo-hoo! 4. Everyone else has an accent. EVERYONE. 5. 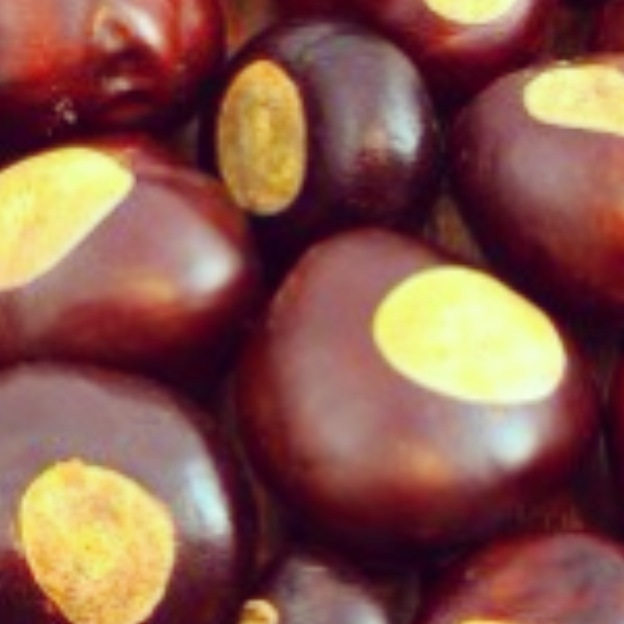 What a buckeye is: a tree nut, a fanatic sports fan and, most importantly, a delectable confectionery treat. 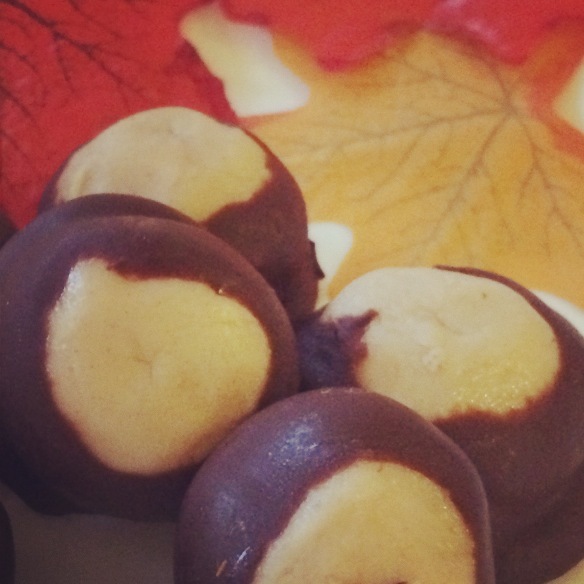 This week, in honor of fall and football season, I decided to make a batch of my favorite peanut-butter-and-chocolate treats: buckeyes! I even enlisted the help of a true Ohio State Buckeye for authenticity. 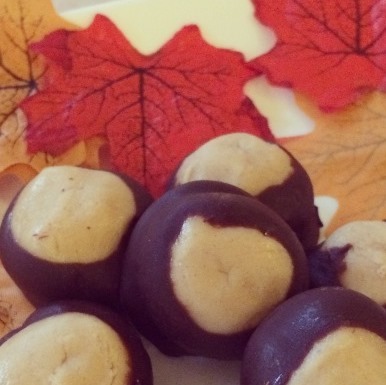 Buckeyes are no-bake, easy to make, gluten-free and delicious! But let me warn you, they’re addictive…. I used the recipe below. It can also be halved or (I recommend) doubled. In a large bowl, mix together the peanut butter, butter, vanilla and confectioners’ sugar. I suggest adding the sugar last, and in small quantities at a time. The dough will look dry. Roll the dough into 1 inch balls and place on a waxed paper-lined cookie sheet.